"With the first candle on the Town Common menorah lit, residents celebrated the first night of Hanukkah on Sunday evening. Close to 30 people headed downtown to celebrate in song and dance with Chabad Rabbi Mendy Kivman and his family. 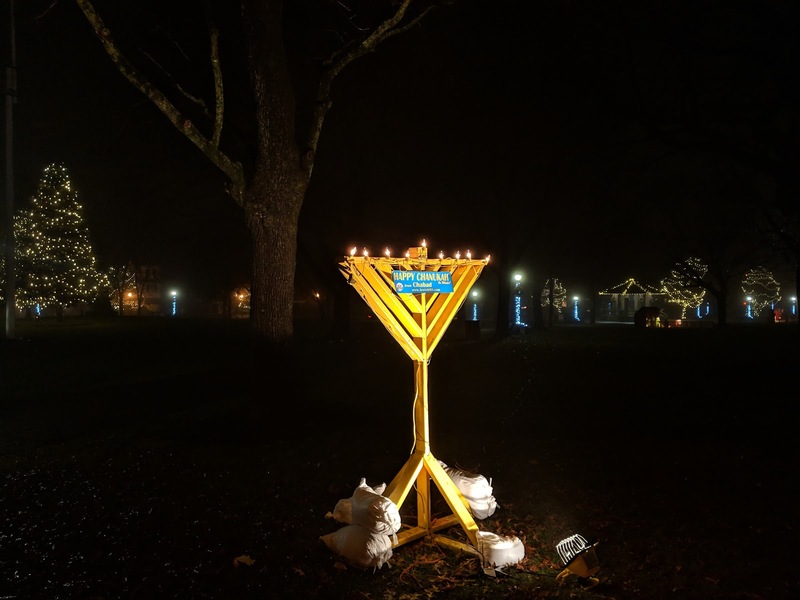 Kivman, who works at the Chabad House Jewish Community Center in Milford, said the meaning behind the first night of Hanukkah is to show the world that one little light has the power to rid the world of darkness. “One candle can push away a lot of darkness,” he said."